Finding the right forklift for your needs is not as easy as 1-2-3, but it does not have to be difficult with Masterlift by your side. In fact, we have helped thousands of people just like you find the right equipment for their business. If you are located in the Mississauga or Oakville area, we welcome you to come to our facility for a tour and to try out our forklifts. We know that we can put you in the right one for all of your project requirements. In fact, we carry hundreds of quality new and used forklifts right here on site. Each one has been inspected for its quality and to make sure it is in excellent running order. All of our used truck lifts have been through a comprehensive testing and refurbishing. We want you to be happy with your choice in a forklift and therefore provide a new truck warranty with every used truck we sell. Give Masterlift a call today to schedule your appointment to come see us! While we do sell new and used forklifts in Mississauga and Oakville, we are also more than that. In fact, we offer a wide range of services to ensure that you can get everything you want and need. We offer the necessary forklift certification training for your forklift operators. Our training is designed to teach the proper way to operate a forklift while making sure that safety is a priority. 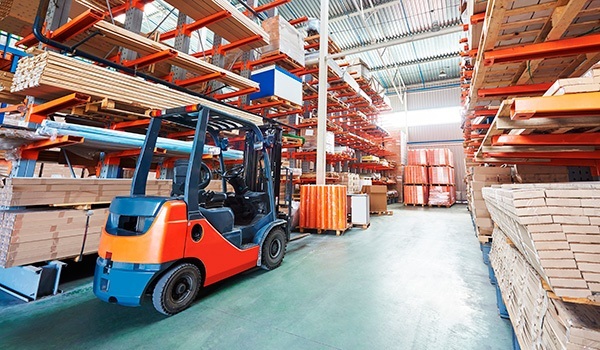 Forklift certifications give any business owner, employee, contractor, and consumer the peace of mind they need knowing that the person behind the wheel is competent. If you are not sure you are ready to purchase a new forklift, you may want to consider leasing one. This is a good idea for anyone who likes to change their options after a few years or for someone who wants to try out the forklift without an obligation of buying it. In addition to our leasing, sales, and certification training, we also offer lift truck repair services. Our technicians are certified professionals who have the knowledge and experience you desire from a forklift mechanic. No matter how complex or simple of a repair, our team is ready and able to handle it for you and minimize your downtime. If you are ready to see one of our forklifts or if you need any repairs in Mississauga or Oakville, contact Masterlift today!